This will work on The Micron NBK001465-00, and may work on other Micron GoBook2s. This was pulled from a Micron GoBook 2 NBK001465-00 with other issues. I Recycle. Note on notebook parts: While in general, notebook parts are proprietary in nature, the nature of mass producing notebooks has led to many common parts suppliers. This is the Upper IO board 1EA4B13A07700D SPN-220. This was pulled from a Micron XPE p/n NBK001232-00 with other issues. This will work on a Micron XPE. may work on other Micron units. 3 Audio Interface phono jack. Other numbers on board SR310. This was pulled from a Micron Millennia Transport m1000-133 with other issues. This will work on a Millennia Transport m1000-133. may work on other Micron units. Note on notebook parts: While in general, notebook parts are proprietary in nature, the nature of mass producing notebooks has led to many common parts suppliers. Teac DV-W28E Slim Line Notebook DVD -R/ RW Drive for MPC Transport in good condition tested pulled from working system. Other numbers on item: SLM-110 and 1ea0b13a16400 and 1ea4b13a12900c and ES1918S. This will work on The Micron NBK001465-00, and may work on other Micron GoBook2s. This was pulled from a Micron GoBook 2 NBK001465-00 with other issues. This was pulled from a Micron XPE p/n NBK001232-00 with other issues. This will work on a Micron XPE. may work on other Micron units. This is the Battery interface assembly, connections are a 4 wire and 5 wire. This will work on a Millennia Transport m1000-133. may work on other Micron units. This was pulled from a Millennia Transport m1000-133 with other issues. Will also work with a Micron XKE and XPE. Micron Transport x1000 Laptop Power Button (and two other buttons) Cover. Good condition. Pulled from a t2000 laptop that was parted out due to a video problem with the lcd screen. Only top 1/3 of screen would draw or light up, external video worked fine. so laptop parted out. IF A LAPTOP ISN'T COMPLETE AND FULLY FUNCTIONAL THAT MAY PREVENT ALL PARTS FROM BEING TESTED. Micron Transport x1000 Laptop Hard Disk Cover. Good condition. Micron Transport x1000 Laptop Left & Right Hinges Covers. Good condition. Pulled from Micron PC GX2 PIII Laptop that had 15" screen. Used mini pci expansion cover door w/screw pulled from laptop when it was parted out. IF A LAPTOP ISN'T COMPLETE AND FULLY FUNCTIONAL THAT MAY PREVENT ALL PARTS FROM BEING TESTED. 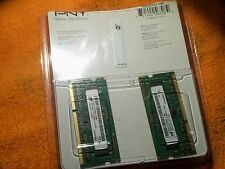 This is brand Used Micron 2GB DDR3 1333Mhz Memory SODIMM Laptop RAM MT8JSF25664HZ-1G4D1.Please refer to the pictures. This unit has been thoroughly inspected and tested by our in-house, factory-trained technicians. As a result of the technicians' professional handling and care, the unit has been returned to factory specifications. You can expect a fully-functional unit. .
Also compatible with the following TravelMate 611TXV. TravelMate 526TE. TravelMate 520TE. TravelMate 350 Series. Thinkpad I-Series 1161-42A. TravelMate 529TX. TravelMate 525TE. No further testing done. Pulled from t2000 laptop that was parted out due to a video problem with the lcd screen. Only top 1/3 of screen would draw or light up, external video worked fine. so laptop parted out. New (Other See Details) Shows That The Item Was Pulled From a New Computer (Laptop / Notebook, Desktop). Used Grade A This Grading Show That The Item Is In Good Condition For its Age And Will Show Very Minor Signs Of Wear.